Hereford gained their fourth league win of the season with a 2-1 victory against Darlington. Hereford gained their fourth league win of the season with a 2-1 victory against Darlington at Edgar Street. 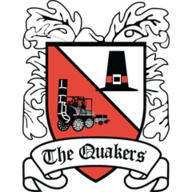 The Quakers' defeat - their 12th of the campaign - sent them to the bottom of League Two after they conceded two goals in six minutes. 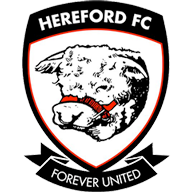 Hereford dominated the first half and they took the lead in the 41st minute when full-back Keith Lowe rifled the ball into the back of the net from eight yards. The home side went further in front two minutes into the second half when striker Mathieu Manset headed a cross from Ryan Valentine on to Darren Jones, who beat goalkeeper Nick Liversedge with a close range drive. Hereford had further chances to go ahead but were stunned when James Collins rifled the ball into the net to give Steve Staunton's Darlington a chance of fighting back. But The Bulls held firm and went on to record their fourth league win of the campaign.